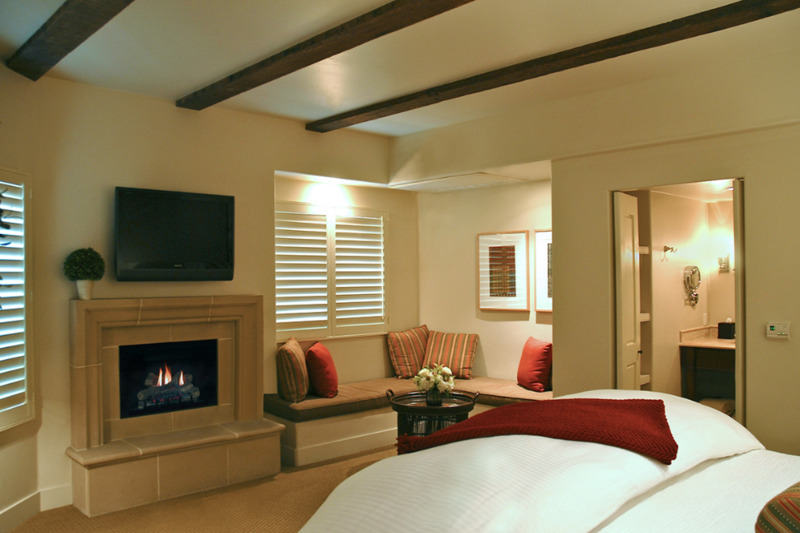 THE GUEST ROOMS - YOUR PASO ROBLES "PIED-À-TERRE"
Individually named for historically significant horses, each guest room at Hotel Cheval is a welcoming and comfortable, private haven. Featuring original artwork and thoughtfully furnished in a sophisticated and classic style, with a patently contemporary edge. For information regarding our ADA Accessible Guest Rooms, please click here. down comforters and white goose down pillows. Hypo-Allergenic comforters & pillows are available upon request. King Beds are outfitted with 400-thread count sheets, high fill-power white goose down comforters and white goose down pillows. Hypo-Allergenic comforters & pillows are available upon request. Luxury Rooms: Are our most spacious rooms, with fireplaces and luxurious, over-sized walk-in European Showers with Thermostatic Controls. 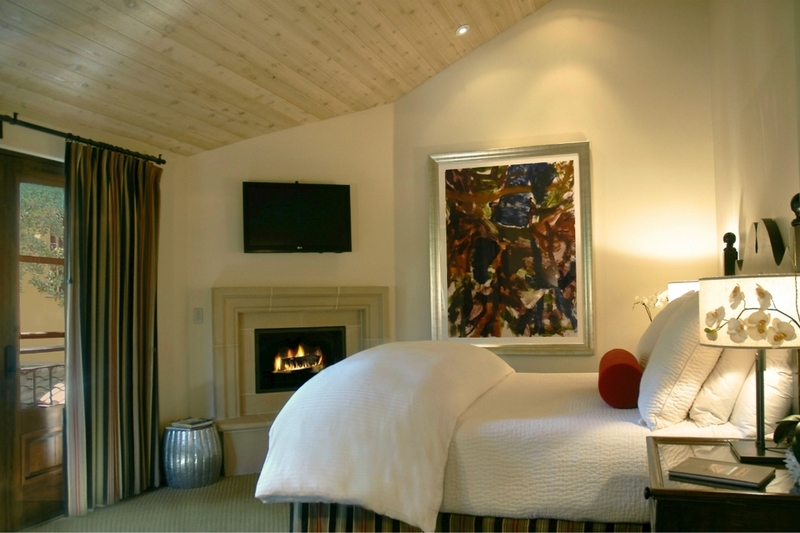 They are located on the first and second floor of the hotel and have either vaulted ceilings or high wood beam ceilings. Each room features a 48” LCD flat screen TV, with Digital Cable and a variety of premium movie channels. Complimentary Wi-Fi is provided throughout the property, but should you prefer it, an Ethernet connection is available in every room. Our cozy and supremely comfortable California King Beds are outfitted with 400-thread count sheets, high fill-power white goose down comforters and white goose down pillows. Hypo-Allergenic comforters & pillows are available upon request. *Please Note: Hotel Cheval was built with Water Conservation in mind, so only a few of our guest rooms have tubs.